4. Heard a request for support from Dave N. representing the quiet lakes assoc(Ghost, Teal and Lost Land Lakes) requesting a donation towards their “ECO-HARVESTER” , a machine to improve habitat by getting rid of choking weeds from the lake. It is much more than a weed cutter as it actually removes the plant and restores the lake environment for aquatic life mainly fish populations……… This project was up for motion, seconded and approved by all for a total donation of $2500. Possibility that this machine can be used by other lake associations for use on their lakes. 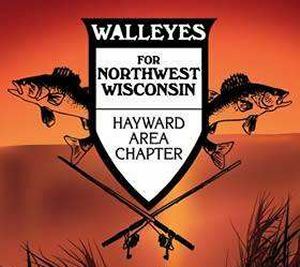 ld would pay for 3 extended growth walleyes to be stocked in approved lakes in our area (fish 7-9 inches). Rick will order these.. approval for 1000 to be ordered. 6. Desmond on top of things with social media…. need to get her the information and pictures for her communications to be effective…. will get this done this week … thanks to Desmond for handling this project. 7. “ICE EVENT” will soon be here!! please plan on attending and offering your assistance for this major fund raiser for WFNW…. We need you!! We will be setting up the building on Friday Feb. 15 at 9:00 at the landing. Ed, Bob and I set it up last year…. Could use many more hands…. please contact me to help out with this and other projects. Many of the prizes are already purchased, so are tickets, Bob taking care of poster ads, Wayne with the flier and fish stuff. 9. membership drive…. each member trying to get 2 new persons…. yes I have mine, Michelle does too!! 13. Michelle, Did I finally get it right the first time? ?